You may have heard about Hindu priests, Indian gurus, ancient shamans being able to control their heart rate, pain levels, breathing rates and promote their own healing. There are stories from around the world of amazing feats of physical and mental control. Is any of that possible? Well, it turns out that a modern version of mind-over-body training is widely available – this more modern approach is called biofeedback therapy and involves a number of different measurement methods to help individuals control heart rate, blood pressure, muscle tension, breathing rate, brain activity and skin temperature. Health care professionals and therapists in a wide range of fields are using biofeedback therapy to help and empower patients to control high blood pressure, blood sugar levels, control pain from migraine or tension headaches, control seizures and regain muscle control in paralysis, control heart beat irregularities, blood circulation disorders and to treat digestive disorders. While it is not clear exactly how biofeedback works, it is believed to rely on what is commonly referred to as the “Mind Body Connection”. We have all experienced how emotions can affect our bodies. When we hear some awful news, we talk about feeling as if we were “hit in the gut”. We talk about seeing or hearing or thinking about something we think is disgusting “made my skin crawl”. Many over the years have noticed that when people feel sad or depressed, they tend to get sick—and those that are sad or depressed tend to get sicker! We also know that stress in our lives can affect our health AND make a number of chronic conditions worse. Biofeedback is a part of the ancient and traditional approaches to health such as meditation that relied on reducing stress and focusing positive thoughts to control body functions. The difference with biofeedback therapy is that we now use various sensing devices to provide us with the information guiding that control. Biofeedback has its modern roots in the physiological description in the 1920s by Walter Cannon of the role of the adrenal glands in secreting adrenalin (epinephrine) and other substances. It was extended in studies of the damaging effects of the stress response by Hans Selye and other in the following decades. A cardiologist from Harvard looked at the other side of the “stress coin” and found that the relaxation response could be used to reduce heart rate and other stress responses and that damage caused by the stress response could, in many cases, be reversed. Relaxation appears to be central in how biofeedback works—this may be related to the stress response known as “Fight or Flight”. When we control how stress affects us, that ancient fight or flight response that involves the adrenal glands and various centers in the brain is controlled. The fight or flight response developed throughout evolution to allow us as humans to escape the bear in the cave, to run when fighting was useless or to fight when we had to. That same fight or flight response kicks in with non-physical stressors as well—it kicks in the night before an exam we are not ready for, or when your boss or some significant person in your life has made you angry, upset or has doubted your work. In some people, that fight or flight response results in an increased blood pressure or heart rate. In others, the fight or flight response results in tension headaches. But in all fight or flight responses, one thing happens as well—the level of blood sugar increases because that blood sugar provides the fuel needed for either fighting or fleeing! Biofeedback can be useful in any form of diabetes—Types 1, 2 and gestational diabetes as well as the less common forms of diabetes such as MODY. Recent studies from the Cleveland Clinic have indicated that various forms of biofeedback can lower blood sugar values, lower the A1c value and decrease blood pressure readings. Other studies have indicated that individuals with the diabetic complication of peripheral neuropathy (nerve damage causing weakness, pain and numbness most commonly in the feet and hands) were able to increase the blood flow to their hands and feet, decreasing the pain and other symptoms of the neuropathy. As an added bonus, researchers have found that people using biofeedback therapy reported improved mood and sleep quality.3 It is also believed that biofeedback may be useful in reducing another diabetes complication—the damage to the retina and eye known as diabetic retinopathy. In any biofeedback therapy session, electrodes are placed on the skin—different electrodes are designed to measure the different characteristics or they are held in the hands. These electrodes measure and record information that is sent to a monitor or a device that converts that information into sound or light. The therapist, specially trained in biofeedback techniques, guides you through a series of relaxation steps and then mental exercises designed to have a particular effect. If you are there to learn how to better control blood pressure, the mental exercises will be designed to that end. If you are there to control blood sugar levels, slightly different exercises may be used. Your goal is to get the monitor, the sound or the light in the correct configuration to let you know that you are achieving that blood pressure or blood sugar goal. It is largely a process of trial and error to see which set of mental exercises prove to be most effective for you and your goal. In general, sessions last for 1 hour and can go for 8 or more sessions, depending on how the biofeedback therapy is progressing. Blood pressure and blood sugar control tends to need more sessions. Once you have gone through the biofeedback therapy, you perform the set of mental exercises, relaxation techniques and other techniques as needed on your own—at home, at work, at school or anywhere you need to—and the more you practice, the faster and more effective the results. How do I Find a Qualified Biofeedback Specialist? The Association for Applied Psychology and Biofeedback has a directory of specialists certified in biofeedback. You can also check for a provider at the Biofeedback Certification International Alliance. (BCIA) Make certain the therapist is either referred by your physician or other trusted healthcare provider or is certified in biofeedback. 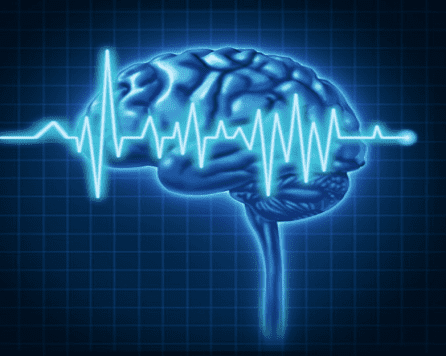 What are the Drawbacks or Side Effects of Biofeedback Therapy? There is little evidence that there are any significant side effects to biofeedback therapy. It does not work for everyone and it may not be significantly effective for everyone, but there are no known side effects. Often, if biofeedback therapy is not working, a bit more practice in relaxation techniques and techniques in “letting go” of the outcomes can be beneficial. Many people find that combining biofeedback with traditional meditative techniques (especially useful in helping you relax and “let go” of outcomes) is particularly useful. On the other hand, biofeedback does require significant time and a significant commitment from you. The sessions are long and the number of sessions needed varies from one person to another. You also have to spend some time practicing in order for biofeedback to be most effective. Some sessions may be covered by some insurance or governmental health plans, but this varies as well, so there may be some expense involved as well. Children can benefit from biofeedback, but they have to be old enough to understand and to be willing to try the process. If you are looking into biofeedback for your child, it is especially important to find a therapist that has worked with children. Is biofeedback beneficial for diabetes? Yes, particularly in helping regulate blood sugar levels, blood pressure and circulation and particularly during more stressful times. What can be controlled with biofeedback in people with diabetes? Blood pressure, blood flow and blood sugar levels can be controlled with biofeedback. Biofeedback can be used to decrease the effects of peripheral neuropathy (reducing pain) and diabetic retinopathy (reducing the risk or slowing the progress). It can also lead to better sleep, better mood and an overall better glycemic control. What is biofeedback training in case of diabetes? There is no specific diabetes biofeedback program and the changes in blood sugar are not monitored via any electrodes—these values are still measured and monitored using fingersticks, blood tests and meters. However, studies have indicated that over time, the reduction of the overall stress response can positively affect blood sugar levels. 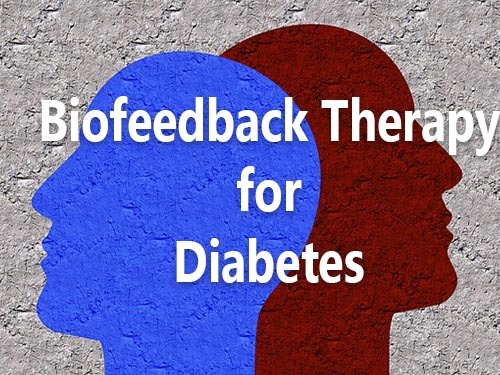 Is biofeedback therapy for diabetes is costly? It may be expensive depending on what coverage you may have. Is biofeedback therapy for diabetes is available everywhere? Biofeedback is available in most countries, but is more likely centered around the larger cities and populated areas. Biofeedback is becoming more and more mainstream and is more often recommended for patients with diabetes in order to maximize their control of blood sugar, blood pressure, increase circulation and reduce the effects of peripheral neuropathy and retinopathy. It is also recommended to relieve stress, improve sleep quality, improve mood and outlook, and the overall quality of life. I hope this article was helpful for you if you are looking into biofeedback therapy. Is Resveratrol Safe If You Have Diabetes? Is Folic Acid Beneficial for Diabetes? Fact From Fiction: Is Cinnamon Good For Diabetes?